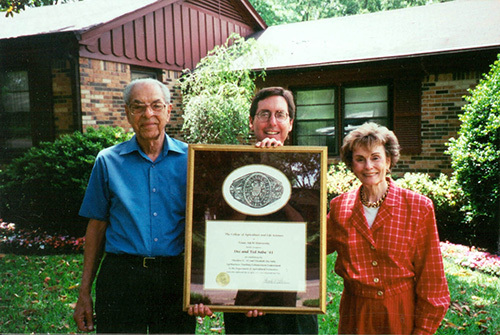 Elizabeth and Ted Saba '41 of Tyler began giving to Texas A&M in 1989. They recently made their fourth major gift, a $50,000 charitable gift annuity. The couple designated that their gift create an endowment in Agricultural Economics, the department in which Ted received his A&M degree. Ted: I liked the fact that I could give to whatever program I wanted. The Sabas are particularly impressed with professor John Siebert, whom Ted called a fireball. Elizabeth: Not only does he help students get through school, he helps them find jobs after they graduate. Ted is a retired commercial and residential real estate broker. 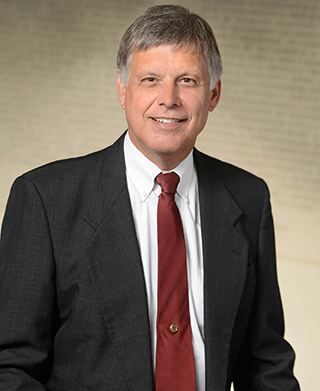 In the early 1990s, he established two charitable remainder trusts creating endowments for three programs at A&M. Ted and Elizabeth also are planning to leave gifts to A&M through their wills. They are impressed with the peace of mind that gift annuities offer. With a charitable gift annuity, the Texas A&M Foundation Trust Company accepts a gift of $10,000 or more, invests it, and then makes payments to the donor (or other beneficiary) over his lifetime. The annual payout rate ranges from 5.7 percent to 11.3 percent, depending on the donor's age. Ted: A lot of folks I talk to can't believe how great these gift annuities are. I can use the income now, but ultimately I help A&M because the money goes to the school after my lifetime. The couple chose to create an endowment with their gift because they say the beauty of endowed gifts is they keep the A&M tradition going on forever. Ted: Elizabeth and I share a love of wanting to help kids get a good education. We believe that those of us who have made a little bit ought to be able to help someone else in life.